By Martin Loosemore, UNSW. Originally published on The Conversation. Good infrastructure can transform the social fabric of local communities, regional economies and national prosperity. The 2012 Olympics’ impact on London’s East End and the Guggenheim Museum’s role in revitalising Bilbao in northern Spain are examples of how infrastructure projects can regenerate disadvantaged communities by creating a new sense of identity and pride. But what about the project design and construction phases? This has been largely neglected in the debate about equitable and sustainable cities. 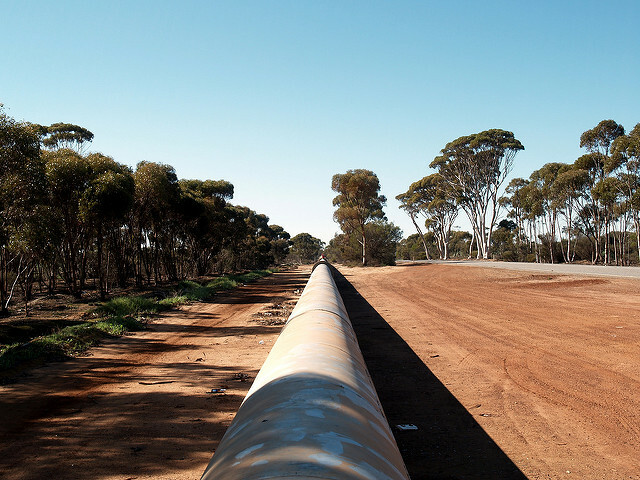 With one of the world’s largest infrastructure pipelines Australian governments have an unprecedented opportunity to leverage their procurement spending power. For instance, the second airport for Sydney at Badgerys Creek in the city’s west offers a great opportunity. Projects like this can be used to tackle growing disadvantage and inequity in the communities where they are built. This can kick-start change over the life of major infrastructure projects. Europe’s largest construction project, Crossrail in the UK, is an exemplar of how the project construction phase can enhance and rejuvenate communities. During its design and construction, Crossrail will create more than 55,000 full-time-equivalent jobs and 600 apprenticeships. Its social procurement programs generate direct and indirect employment opportunities with an emphasis on UK contractors and consultants, small and medium enterprises, local jobs and long-term skills development. How does social procurement work? Social procurement is one of many policy instruments that governments and some construction companies are beginning to use to promote social equity and justice. Rather than regulating the market, handing out state aid or making philanthropic donations to these ends, social procurement involves governments and firms participating in the social economy by leveraging their spending power. In effect, this creates a quasi-market for social benefit organisations to participate in the project planning, design, construction and facilities management. These organisations operate a hybrid business model which blends social and economic goals. They can include social enterprises, Indigenous businesses, disability enterprises, minority-owned enterprises, enterprising not-for-profits, charities, social businesses, co-operatives, charities and local businesses. Social procurement takes many forms. Some initiatives involve the direct purchasing of products and services from social benefit organisations that specialise in employing disadvantaged groups such as Indigenous, disabled, ex-offenders, ethnic minorities, youth or the long-term unemployed. Other approaches rely on indirect means. There may be contractual clauses to require existing supply-chain partners to provide training and employment for such people. They may also be required to contribute in other ways to the communities in which they work, such as by employing local businesses. This in turn translates to measurable longer-term benefits in the wider community. These include increased wealth, better health and reduced crime. The built environment industry can do more than most to help overcome Australia’s growing level of disadvantage. It employs about 9% of the labour force. It is also the largest youth employer in the country. The industry is often the first port of call for migrants. This is due to its preponderance of low-skilled jobs and its highly culturally diverse workforce. Research shows that about 57% of construction workers speak a language other than English at home and 54% were born in another country. A unique feature of the industry is that for historical reasons different nationalities tend to congregate into certain trades (Italian concreters, Maori scaffolders, Croatian form workers, Korean and Afghani tilers, Chinese and Vietnamese gyprockers). Unlike most industries, it also operates in the most remote and disadvantaged communities. It is estimated, however, that less than 2% of Australian social benefit organisations operate in the sector. Those that do tend to be micro-businesses. These work at the bottom of the supply chain, in low-margin, high-risk trades such as cleaning, gardening and landscaping and grounds maintenance. The built environment industry employs around 1 million people, of whom 43% are 15-to-23 years old. This means that a mere 1% increase in work could provide 43,000 new employment opportunities for social benefit enterprises in the supply chain that specialise in disengaged youth. Given the industry’s 3:1 multiplier effect in the wider economy, that could create as many as 172,000 jobs in total. The industry responds to market drivers and regulation better than anything else, and is unlikely to change voluntarily. Knowing this, various levels of Australian government are developing social procurement regulations and policies. Governments can use a range of soft and hard policy levers. For instance, they can require firms tendering for work on government projects to employ a certain proportion of disadvantaged people, social benefit organisations, minority businesses and local businesses in their workforces and supply chains. The federal government’s Indigenous Procurement Policy (2015), NSW government’s Aboriginal Participation in Construction Policy (2015) and the Queensland government’s Building and Construction Training Policy (2015) and Charter for Local Content are examples of this. For the Victorian government’s A$25 billion major infrastructure works program, its recent Major Project Skills Guarantee mandates that 10% of project hours be allocated to apprentices and trainees and 2.5% to Indigenous employment. There are also requirements to employ disadvantaged people from local communities through direct employment and supply chains. The Melbourne Metro Rail Project is a prime example of the Victorian government’s social procurement policies in action. Encouragingly, the NSW Department of Premier and Cabinet has set up a steering committee to explore social procurement opportunities for the new western Sydney airport. Forward-thinking city councils such as Gold Coast, Brisbane, Parramatta, Wyong, Wollongong and Ballarat have also developed social procurement policies. A few leading construction companies are innovating in social procurement. For example, Multiplex is experimenting with creative models that bring multiple stakeholders together to provide new training and job opportunities in the construction supply chain on large projects in socially disadvantaged areas. However, too many companies remain disconnected from the communities in which they build. They seem ignorant of their industry’s potentially enormous role in building a more equitable and sustainable society. The growing numbers of social benefit organisations set up to help the disadvantaged face many barriers to entry. Too many built environment companies see the community as a risk, rather than an asset and an opportunity to give something back to the society in which they operate. Equity of opportunity and wealth distribution are the basis of a stable and prosperous society. Recent world events have vividly demonstrated this. We need to start thinking about the whole of the planning, design, construction and facilities management process – not just the end products – as a way to build more equitable and socially sustainable cities. And it’s about time the built environment industry met its full responsibilities to society.